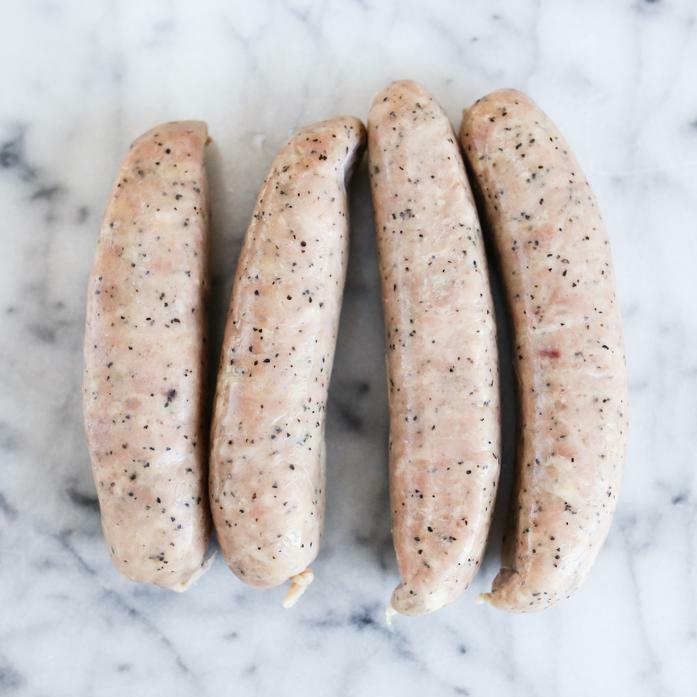 This chicken sausage is like the best whole roast chicken you have ever eaten. It is juicy but lean and made with chicken thighs, roasted garlic, white wine, and rosemary. Ingredients: Chicken, white wine, salt, roasted garlic, black pepper, sugar rosemary, lemon zest, and a natural pork casing.